Service Monitor -> Defines how to probe the health status of a backend server. Acceleration Enabled -> NSX uses the faster L4 LB rather than L7 LB engine. The L4 TCP VIP is processed before the Edge Firewall so no Allow firewall rule is required. L7 HTTP/HTTPS VIPs are processed after the Edge Firewall. If Enable Acceleration is selected, an Edge Firewall rule must allow access to the L7 HTTP/HTTPS VIP. If the Enable Acceleration flag is selected with L4 TCP VIP, and the server pool is in non-transparent mode, an SNAT rule is added. 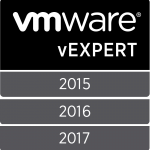 Therefore, make sure that Firewall is enabled on NSX Edge. 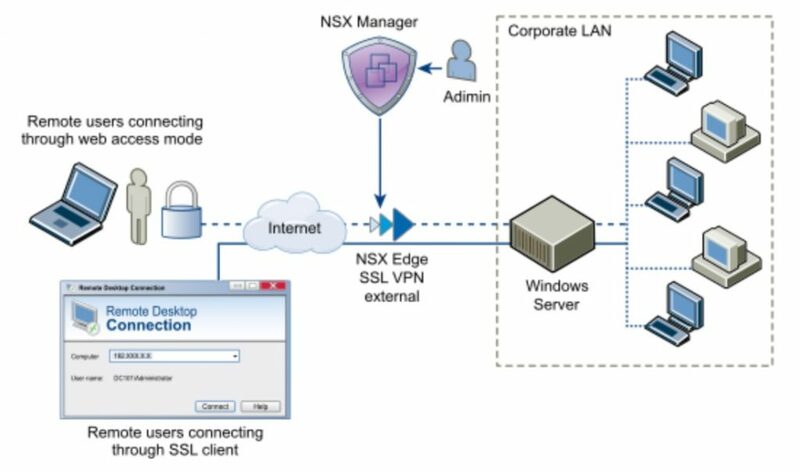 In Networking & Security click NSX Edges, then double-click an NSX Edge. In the left navigation panel, click Service Monitoring. Click the Add icon and type a name for the service monitor. Type the interval at which a server is to be pinged. Type the maximum time in seconds within which a response from the server must be received. Type the number of times the server must be pinged before it is declared down. Select the way in which you want to send the health check request to the server. Enter the string that the monitor expects to match in the status line of HTTP response in the Expected section. For example, 200,301,302,401. Select the method to detect server status from the drop-down menu. Enter the URL to be used in the sample request. If you select the POST method, enter the data to be sent. Enter the string to be matched in the response content in the Receive section. In the left navigation panel, click Pools and type a name and description for the load balancer pool. LEAST_CONN -> distributes client requests to multiple servers based on number of connection already on server. ROUD_ROBIN -> each server is used in turn according to the weight assigned to it. URI -> the part of the URI before question mark (left part), is hashed and divided by the total weight of the running servers -> ensures that a URI is always directed to the same server as long as the server goes up or down. HTTPHEADER -> HTTP header name is looked up in each HTTP request. URL -> URL parameter specified in the argument is looked up in the query string of each HTTP GET request. If no value or parameter is found, then a round robin algorithm is applied. (Optional) : Select an existing default or custom monitor from the Monitors drop-down menu. You create an application profile to define the behavior of a particular type of network traffic. Prefix -> This option is selected if your client does not support more than one cookie. App Session -> The server does not send a cookie. Instead, it sends the user session information as a URL. Enter the persistence expiration time in seconds (default 5min). For the L7 load balancing TCP source IP persistence scenario, the persistence entry times out if no new TCP connections are made for a period of time, even if the existing connections are still alive. Check Configure Service Certificate to select the applicable service certificate, CA certificates, and CRLs used to terminate the HTTPS traffic from the client on the load balancer in the Virtual Server Certificates tab. (Optional) : Check Enable Pool Side SSL to enable the HTTPS communication between the load balancer and the backend servers. (Optional) : Check Configure Service Certificate to select the applicable service certificate, CA certificates, and CRLs used to authenticate the load balancer from the server side in the Pool Certificates tab. Enter the cipher algorithms or cipher suite negotiated during the SSL/TLS handshake. Specify whether client authentication is to be ignored or required from the drop-down menu. If you are enabling acceleration to use the faster load balancer, the acceleration should be enabled when configuring the load balancer. See Configure Load Balancer Service. In the left navigation panel, click Virtual Servers. Check Enable Virtual Server to make this virtual server available for use. (Optional) : Check Enable Acceleration for the NSX Edge load balancer to use the faster L4 load balancer engine rather than L7 load balancer engine. Select the application profile to be associated with the virtual server. You can associate only an application profile with the same protocol as the virtual server that you are adding. The services supported by the selected pool appear. Enter a name and description for the virtual server. Click Select IP Address to set the IP address that the load balancer is listening on and type the protocol that the virtual server will handle. Select the protocol that the virtual server handles from the drop-down menu. Enter the port number that the load balancer listens on. Can also set a range of ports (80, 8001-8004, 443). To use FTP, the TCP protocol must have port 21 assigned to it. Enter the maximum concurrent connections that the virtual server can process in the Connection Limit section. Enter the maximum incoming new connection requests per second in the Connection Rate Limit section. (Optional) : Click the Advanced tab and add the application rule to associate it with the virtual server. SSL VPN-Plus allows remote users to access private corporate applications. 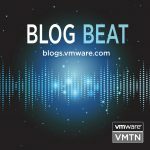 IPSec VPN offers site-to-site connectivity between an NSX Edge instance and remote sites. L2 VPN allows you to extend your datacenter by allowing virtual machines to retain network connectivity across geographical boundaries. On a Linux or Mac machine where OpenSSL is installed, open the file: /opt/local/etc/openssl/openssl.cnf or /System/Library/OpenSSL/openssl.cnf and ensure that dir=..
On NSX Edge1, generate a CSR, copy the privacy-enhanced mail (PEM) file content, and save it in a file in req/edge1.req. On NSX Edge2 enerate a CSR, copy the PEM file content, and save it in a file in req/edge2.req. Upload the PEM certificate at the end of the file certs/edge1.pem to Edge1 and certs/edge2.pem to Edge2. Upload the CA certificate in the file cacert.pem to Edge1 and Edge2 as CA-signed certificates. In the IPSec global configuration for Edge1 and Edge2, select the uploaded PEM certificate and the uploaded CA certificate and save the configuration. On the Certifcate tab, click the uploaded certificate and record the DN string. 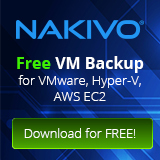 Reverse the DN string to the format C=IN,ST=ka,L=blr,O=bmware,OU=vmware,CN=edge2.eng.vmware.com and save it for Edge1 and Edge2. Create IPsec VPN sites on Edge1 and Edge2 with Local ID and Peer ID as the distinguished name (DN) string in the specified format. Click Change next to Global configuration status. Type a global pre-shared key for those sites whose peer endpoint is set to any and select Display shared key to display the key. Select Enable certificate authentication and select the appropriate certificate. Click next to Logging Policy and click Enable logging to log the traffic flow between the local subnet and peer subnet and select the logging level. Select the log level and click Publish Changes. Type a name for the IPSec VPN. Type the IP address of the NSX Edge instance in Local Id. This will be the peer Id on the remote site. Type the IP address of the local endpoint. If you are adding an IP to IP tunnel using a pre-shared key, the local Id and local endpoint IP can be the same. Type the subnets to share between the sites in CIDR format. Use a comma separator to type multiple subnets. Type the Peer Id to uniquely identify the peer site. For peers using certificate authentication, this ID must be the common name in the peer’s certificate. For PSK peers, this ID can be any string. VMware recommends that you use the public IP address of the VPN or a FQDN for the VPN service as the peer ID. Type the IP address of the peer site in Peer Endpoint. If you leave this blank, NSX Edge waits for the peer device to request a connection. Type the internal IP address of the peer subnet in CIDR format. Use a comma separator to type multiple subnets. Type the shared key in if anonymous sites are to connect to the VPN service. Click Display Shared Key to display the key on the peer site. In Diffie-Hellman (DH) Group, select the cryptography scheme that will allow the peer site and the NSX Edge to establish a shared secret over an insecure communications channel. ecurelocaltrafficbyip=IPAddress to re-direct Edge’s local traffic over the IPSec VPN tunnel. This is the default value. passthroughSubnets=PeerSubnetIPAddress to support overlapping subnets . Enable IPSec VPN ServiceClick the Manage tab and then click the VPN tab. L2 VPN allows you to configure a tunnel between two sites. Virtual machines remain on the same subnet in spite of being moved between these sites, which enables you to extend your datacenter. An NSX Edge at one site can provide all services to virtual machines on the other site. L2 VPN Best Practices. Configuring L2 VPN according to best practices can avoid problems such as looping and duplicate pings and responses. Configure L2 VPN Server. The L2 VPN server is the destination NSX Edge to which the client is to be connected. Add Peer Sites. You can connect multiple sites to the L2 VPN server. Enable L2 VPN Service on Server. You must enable the L2 VPN service on the L2 VPN server (destination NSX Edge). If HA is already configured on this Edge appliance, ensure that Edge has more than one internal interface configured on it. If only a single interface is present and that has already been used by HA, L2 VPN configuration on the same internal interface will fail. Configure L2 VPN Client. The L2 VPN client is the source NSX Edge that initiates communication with the destination Edge (L2 VPN server). Enable L2 VPN Service on Client. You must enable the L2 VPN service on the L2 VPN client (source NSX Edge). Add SSL VPN-Plus Server Settings.